No extraterrestrials here — just an incredible display of lenticular clouds. 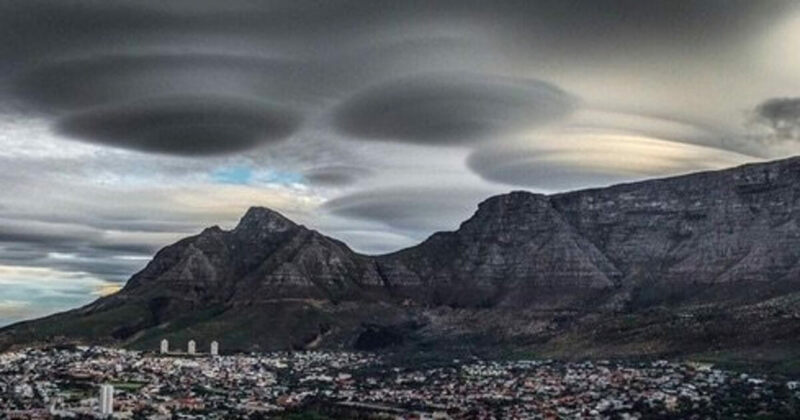 It looked like the opening scenes from a summer blockbuster movie as a fleet of “UFOs” hovered over Cape Town, South Africa on Sunday. But there were no alien invaders — just a stunning lenticular cloud formation. The clouds can also form in places where there are no mountains if the wind conditions are right, according to EarthSky. National Geographic says these clouds were stratocumulus standing lenticularis clouds due to their height and shape.